a military/industrial complex of NASA, North American Aviation and the US army. IRG private developer Stuart Lichter promised to properly clean the site up when it privatized as a "brownfield" site. The clean-up and remediation was not done properly and movie workers and Kaiser Downey workers have been contaminated as a result of the health and safety cover-up. These workers have been fighting for workers compensation and for their health as a result of the failure to clean up the highly toxic dump site. Injured Downey Kaiser hospital worker Gail Shephard's daughter also died with toxins in her body that were probably received at the site. suit was thrown out of court with prejudice by the judge. 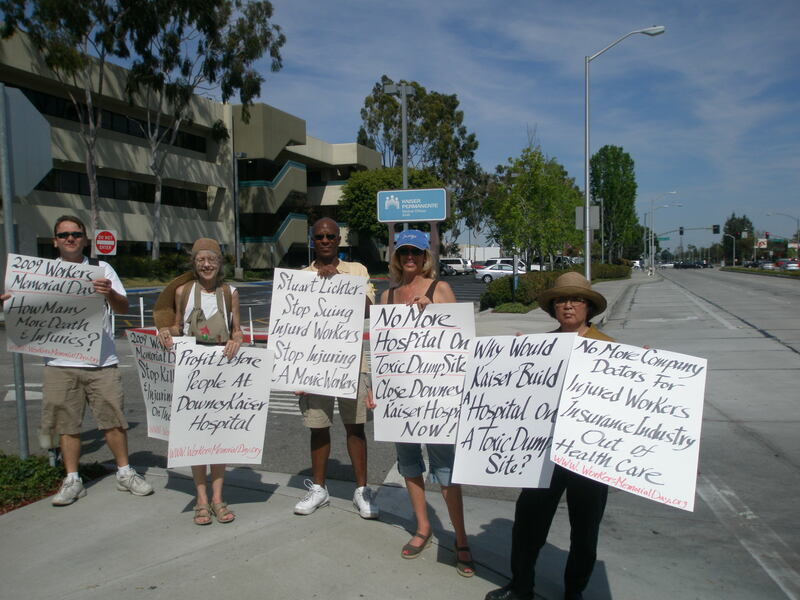 Injured Kaiser Downey workers and Movie workers have been demanding healthcare and workers compensation as well as prosecution of Downey toxic site developer Stuart Lichter for failing to properly clean up the site. Kaiser bosses and management also built a full hospital complex on the superfund toxic dump site.